If the eyes really are the windows to the soul, then perhaps making them as lovely as possible will open you up to the world. At least that seems to be the thought behind a cosmetic science breakthrough from a doctor in California. 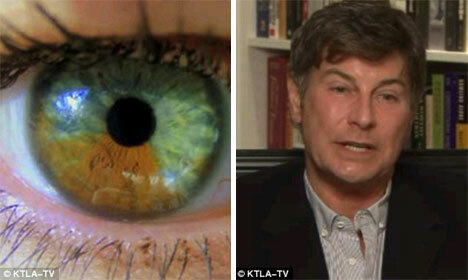 Dr. Gregg Homer has developed a simple treatment that can turn eye color from brown to blue by removing the brown pigment from the top layer of the iris. It works – how else? – by shooting freakin’ lasers at patients’ eyes. At around $5000, the procedure isn’t cheap – and it also isn’t reversible. 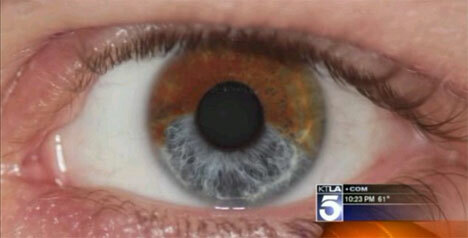 Iris pigment, once zapped from eyes, never grows back. According to Dr. Homer, the procedure would only take about 20 seconds and the eye pigment would change over the course of the following two to three weeks. The procedure is possible because there is no blue pigment in blue eyes. Rather, the brown pigment is at the back of the iris, making the eyes appear lighter. And since brown is the most common eye color in the world, Dr. Homer might have plenty of customers in three years or so when the procedure is expected to be approved in the U.S.
See more in Weird Science or under Science. November, 2011.